Wolf is one of the four playable characters in Payday and became a criminal just recently. Now it's your turn to feel like a real bank robber with this high quality vinyl face mask. 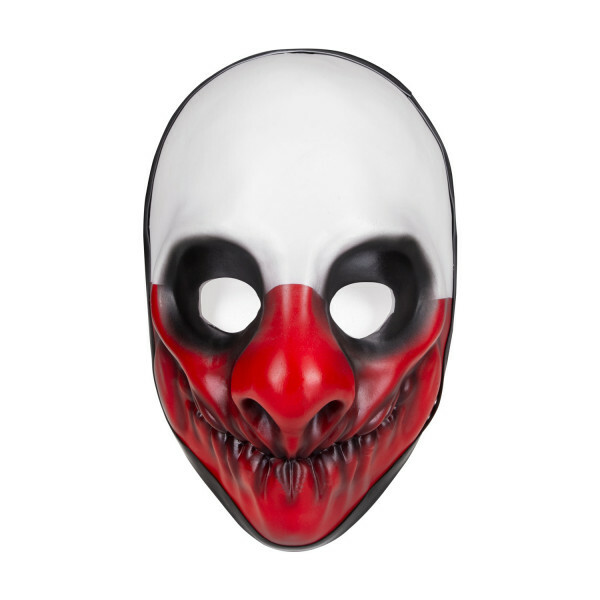 It shows his white and red clown mask with black eyes and features a backstrip for tight fit, so you won't lose it on your next heist. The masks are hand-painted and have a slight "used" look to them that adds to their authenticity.